Join the SecretBuilders Halloween Club! to have a chance to win a one month Premium Membership on SecretBuilders. The contest starts today and goes through Sunday September 27, 2009. Hurry, we are giving away only a few memberships, so make sure to check it out this weekend. Also remember to post your ideas for Halloween items, costumes and more on the SecretBuilders Halloween Club! board. 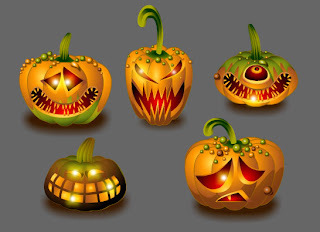 Here is a sneak preview of some Halloween pumpkins that will be available on SecretBuilders soon! Select your favorite one or get them all.